As they say the festive season is just as much about giving as it is receiving and the Toy Appeal in St Davids Shopping Centre in Cardiff makes it so easy to give a little back, even when your in the throws of Christmas Shopping. 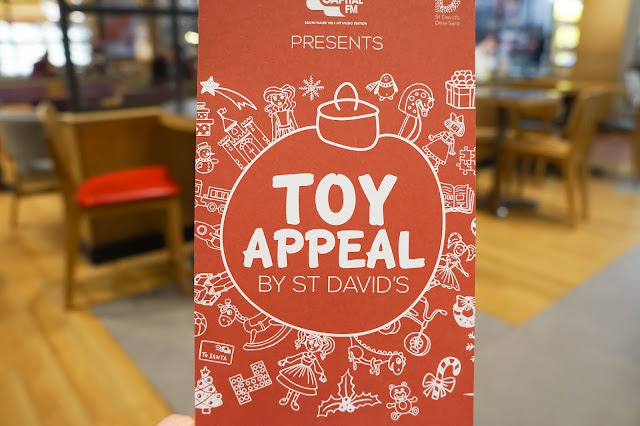 They are simply asking shoppers to pick up an extra toy to donate, that will ensure every child in South Wales receives something special this Christmas. 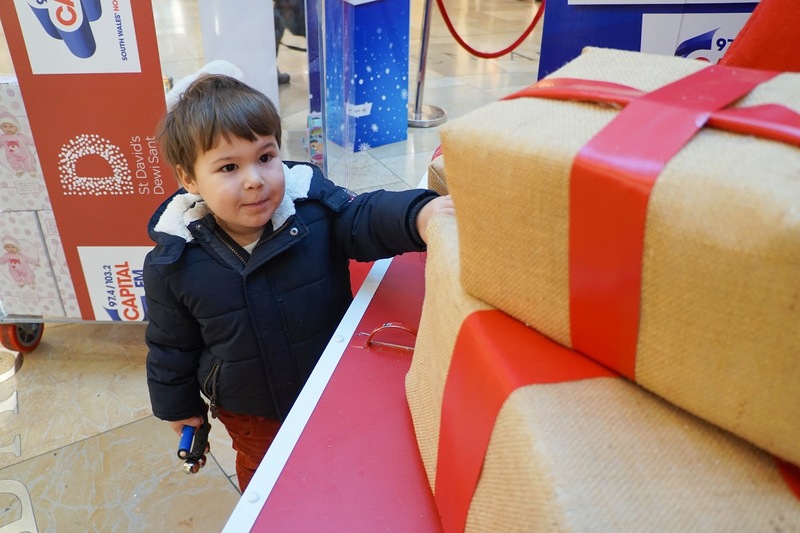 The Toy Appeal is supporting 20 key charities across South Wales including Sparkle, Ty Hafan, Llamau, George Thomas Hospice, Home-Start and Valley Kids. 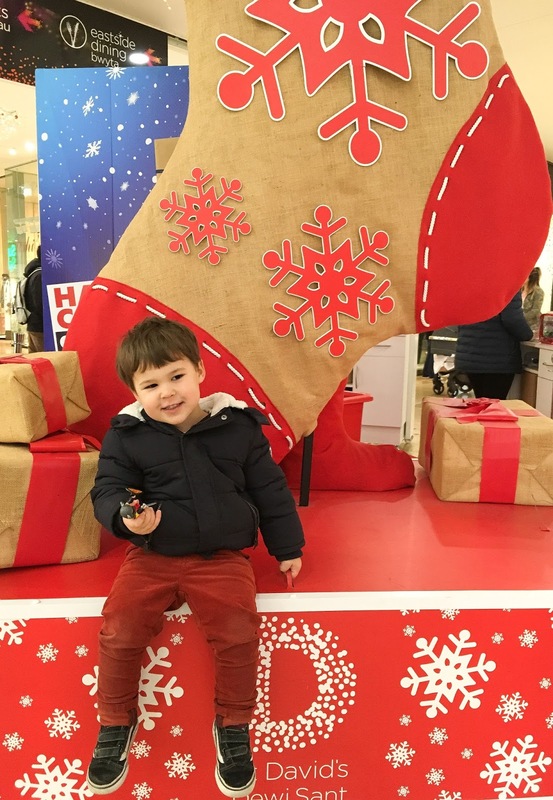 This is the third year we are making a donation to the Toy appeal and I also think this is a great chance to educate children on how important it is to give back and think of others especially as this time of the year and my youngest was very proud to hand over the toy we picked up from Hamleys. The Donation Station is open until the 22nd December and is located on the lower level near the lego store. 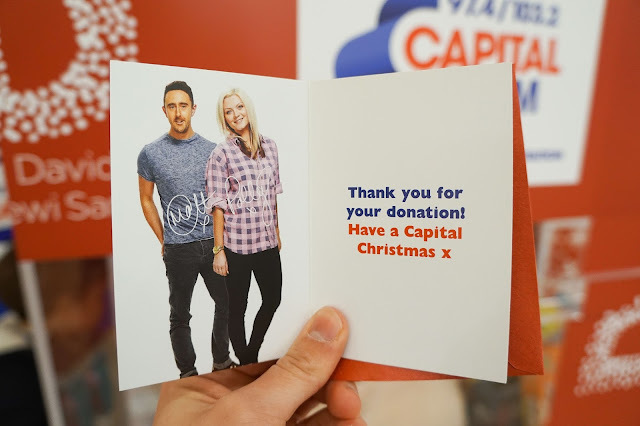 When you donate you are given a little chocolate treat plus a thank you card from the lovely people at Capital Radio. If the toy you donate is over £5 you also receive a Christmas cracker from the Street Stars and you could be in the chance of winning on of thousands of thank-you prizes including St Davids Gift Cards, Krispy Kreme treats and a chance of a Treetop Adventure golf game. If you are planning a trip into Cardiff City centre and want to not only give back but be filled with that feel good feeling, as well as be in the chance to win a nice treat than do make a donation to the station before the 22nd December. We were invited by St Davids to come along and see what the Toy Station was all about this year, we paid for our own toy to make a donation. What a great campaign. I fear I'm a bit too far from Cardiff to donate but we have a similar campaign in this area and I encourage the kids to donate to it every year because it's so important to educate them and make them realise Christmas is about giving not receiving. I hope the St David's Toy Appeal is a great success.